Seagate demonstrate several new prototypes and technologies at Flash Memory Summit last week, and one of these is the new Nytron 5000B SSD drive that is a high-performance boot drive. The new device has 256GB of 3D MLC NAND and makes use of 1258MB of Everspin's STT-MRAM in addition to a "normal" DRAM cache. Seagate says that the MRAM can be used as either a write cache for user data or it can be exposed directly as a separate storage namespace for explicit tiered storage. 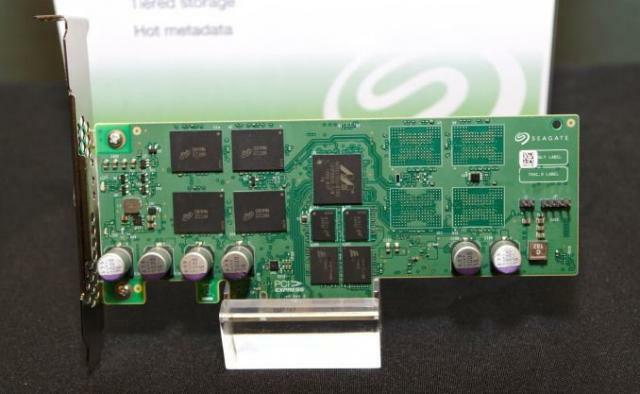 Seagate said that this is currently just a test-platform prototype - and not a preview of an upcoming product.